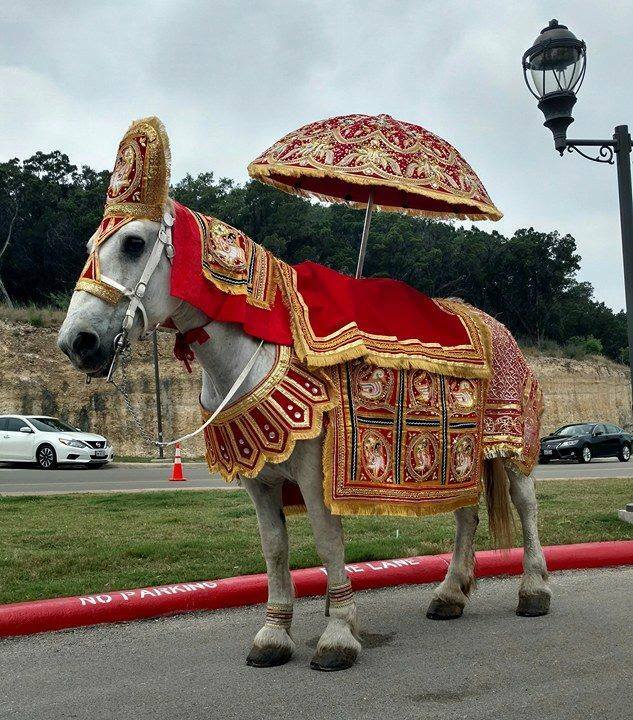 Our beautiful white horses are calm, gentle, and well trained, which makes them perfect for Baraat processions. We have two beautiful costumes to choose from. Visit our ﻿Facebook﻿ page for more photos.